I have been neglecting this blog. Not that I am one to encourage excuses, but the first quarter of the year was extraordinarily busy for me. The Year of the Horse (my year) started off rainy. Very rainy. Nevertheless, we performed in the rain, and did shows for almost a week straight. It was a special year for the Temple, as we received a proclamation from the Mayor of Orlando for Wah Lum Day! 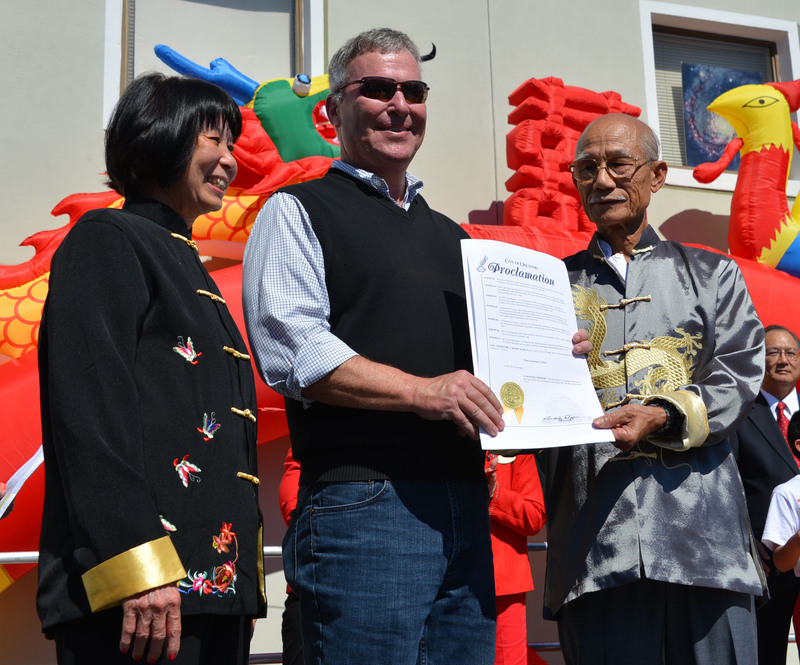 It was wonderful to see my father recognized for all of the years of promoting the Chinese culture in Central Florida. Mayor Dyer presents Grandmaster Chan and Simu Suzy with the proclamation for Wah Lum Day! The following months that followed were very difficult for me, as my uncle became terminally ill. My Uncle Victor is my mom’s older brother, and closest to her in age. My new role for the following months would be taking care of him and looking after him to the best of my abilities. Over the last year, I had been accompanying my Aunt and Uncle to the doctor to take notes and help inform the family members that could not be there. The past couple of months, I stayed by his side with him in hospice, and sometimes that meant overnight. It was a very difficult time for me. 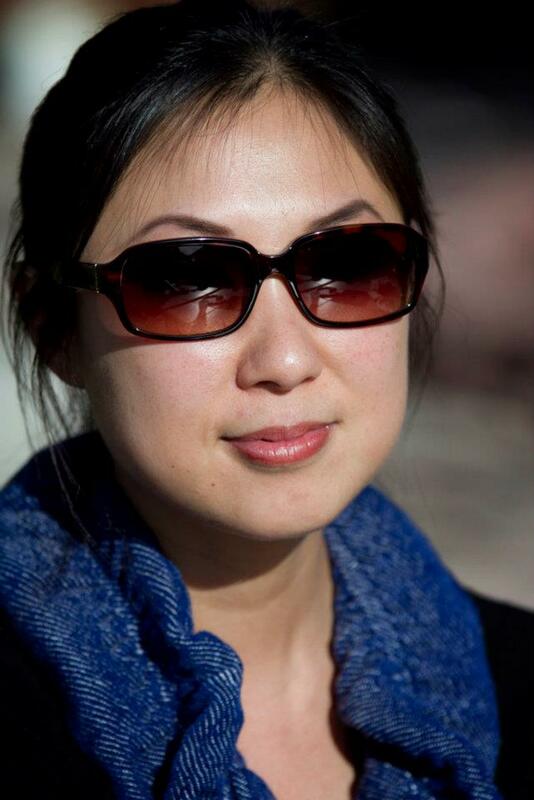 I am usually focused on my work, teaching at the temple, kung fu, the film, and running a business. All of those things were on hold. I can’t explain it, but I felt a calling to do this … and I couldn’t bare to leave his side. It was difficult, exhaustive, and emotional. My Uncle passed away on March 13, and the funeral was the following weekend. I delivered my first eulogy. It was an honor, but it was daunting. 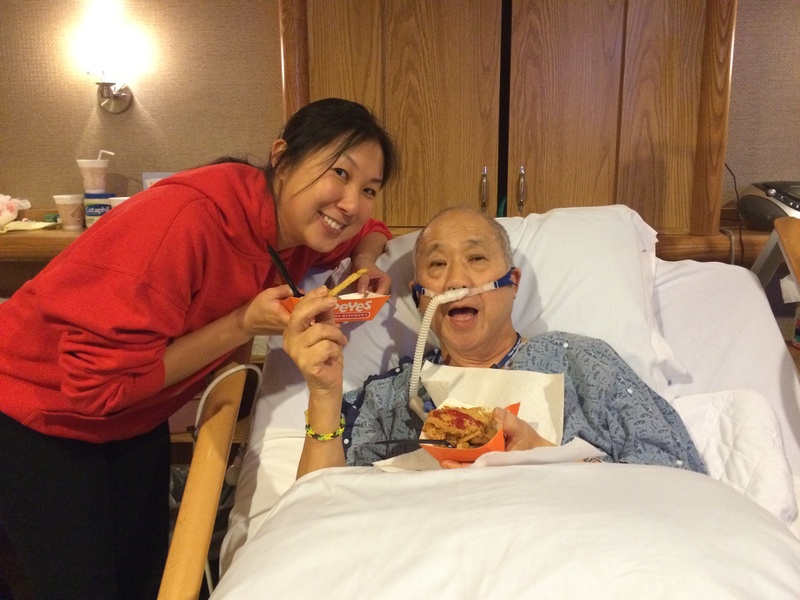 Although I was consumed with sadness, I felt relief for my uncle… relief that his suffering had ended and that we were able to spend priceless time with him before he left us. I still feel sad when I think about him, but then I remember how he made us laugh much more than cry in his lifetime. It is still a work in progress. I returned to teaching and of course getting on track with the film. I am relieved to report that I finally finished the blu-ray and dvd, so that we can share the film with everyone. In the coming months, I hope to have more distribution options available as well. I am very proud of this film. Life is short, and I feel compelled to do as much I can with the little time we are given. I want to enrich lives with kung fu, I want inspire through film… I want to feel more laughter in my life than sadness, and so much more. Every once in a while, life sends us a message and puts things in perspective. As difficult as it can be, I am grateful for the reminder and the opportunity to appreciate the important things in life. As we head into the final quarter of 2013, I have a lot to reflect upon. 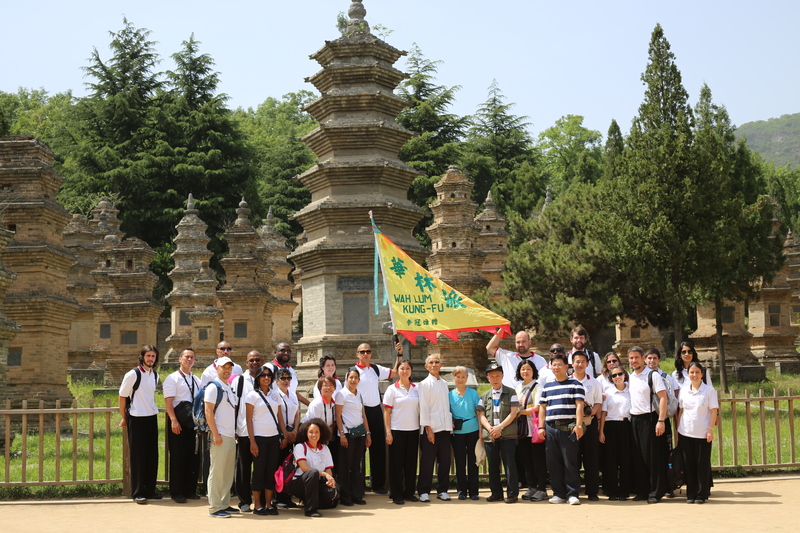 The film tour of Pui Chan: Kung Fu Pioneer is almost at an end. 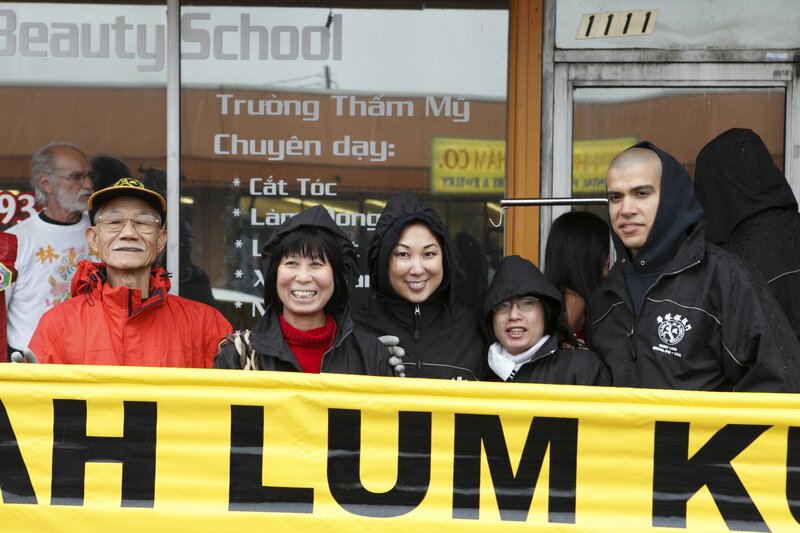 The Wah Lum Temple is celebrating its 33rd Anniversary on November 2, 2013. The Wah Lum Cultural Center is currently in construction. It would be fair to say, there is a lot going on. Next week, Grandmaster Chan and I head west to Los Angeles, to the Sunscreen Film Festival. Although we do not have a school in California, we have a great network of friends and martial arts colleagues there. After living there briefly, it is hard to believe I have not been to LA in over 10 years. I am excited that my father’s birthday in Los Angeles will be celebrated by screening at the final film festival for Pui Chan: Kung Fu Pioneer. It’s fitting really. Although I am relieved that the tour is ending, I am also a little sad. I enjoy watching my father at the Q&A, taking photos with fans, and discovering my family sees new things in the film each time! 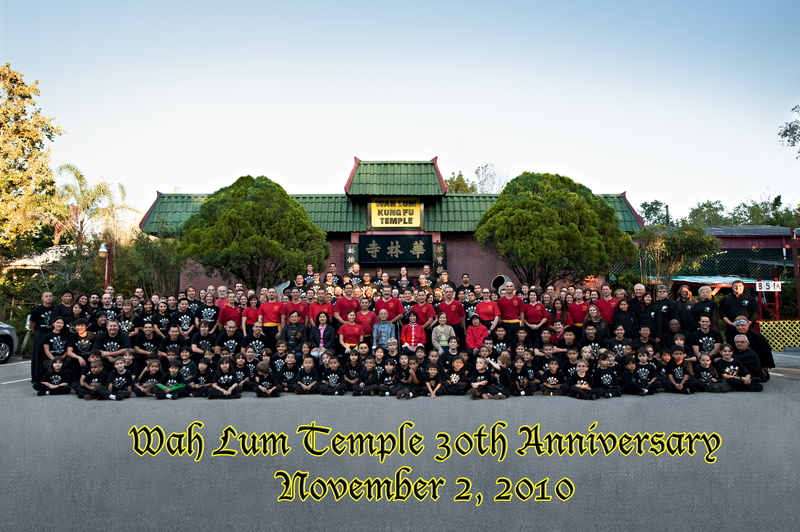 The Wah Lum Temple celebrates its anniversary on the exact day of the grand opening 33 years ago, November 2. It’s funny how everything is lining up on the calendar this quarter. I couldn’t have planned it better. I always look forward to these family gatherings, and use it as a chance to connect with my fellow sifus. I am so grateful that many of them are taking time out of their busy schedules to come and celebrate with us. We will be sharing knowledge at a teach in, and performing together on stage in the evening. It will certainly be a memorable event. Finally, the most recent project we have taken on is the construction of the Wah Lum Cultural Center and Museum. The building will be located directly to the left of the existing Temple. Plans for the museum you ask? Stay tuned! The Center will display some of Grandmaster Chan’s calligraphy, antique weapons, and memorabilia (items from China, his first school, and journeys that he has taken). There will also be a projection room so that we can host private screenings of films and presentations. it will certainly be a center of historic value not just for Wah Lum, but for the Chinese culture as well. Grandmaster Chan has talked about this museum for a long time, so I am very happy to see more of his dreams coming true. Film trivia: the land that Grandmaster Chan and I are on at the end of the film is the site of the future Wah Lum Cultural Center! 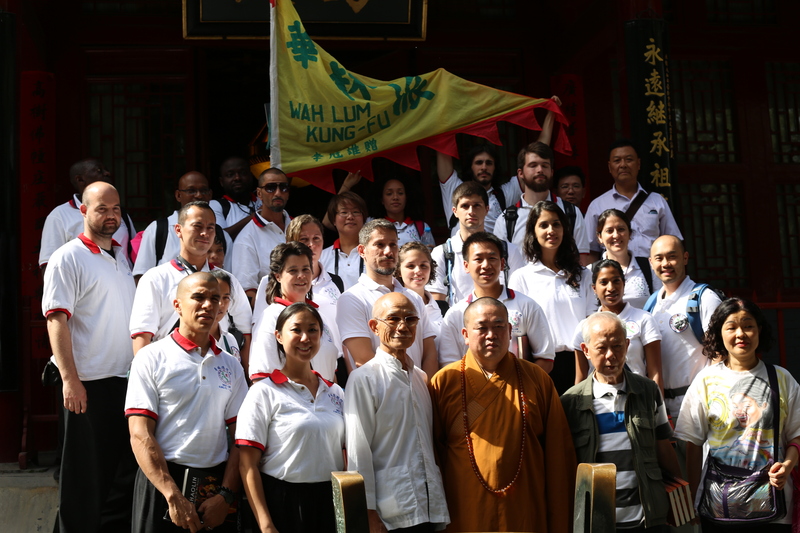 Wah Lum Temple student Hiep Dang shares his thoughts on the movie. Once you’ve watched Pui Chan: Kung Fu Pioneer, you will start to pick up on some underlying themes within the documentary that will resonate with you, such as the story of the American dream, entrepreneurship, love without borders, the will to persevere, and many more. The one that called out to me the most, however, was Grandmaster Chan’s tremendous positive influence on the people within his proximity. The direct influence is obvious with the dozens of schools worldwide and the tens of thousands of students who have attended those schools. Indirectly, Grandmaster Chan has touched so many of our lives through his lead-by-example approach and the philosophies in his teachings. I started my training at the Wah Lum Temple in Orlando in 1992. Through the years, I have had the distinct pleasure of being taught by many of Grandmaster Chan’s direct students (Sifu Mimi Chan, Sifu George Kee, Sifu Tu Truong, Sifu Marcus Chinfatt, and Sifu Bob Rosen, just to name a few). Although they each have their own personal styles and strengths, they all teach one fundamental principle that stems from Grandmaster Chan himself, which is to always practice your basics. No matter your age, not matter your years of experience, no matter how many forms or weapons you know, you must always practice your basics. In 2006, I made the difficult decision to move to Portland, Oregon to pursue my professional career. It was difficult because Wah Lum had been such an integral part of my life. The Wah Lum Temple had always been my sanctuary to escape from and cope with the stress of school, work, and personal life. I was now thousands of miles from the nearest Wah Lum Kung Fu school and for a while I struggled with the idea of not being able to regularly train at the level I did when living in Orlando. With my hectic work, travel, and graduate school schedule, I found it difficult to find the time and open space needed to practice Wah Lum forms and weapons. However, with the guidance of Sifu Mimi, I was reminded that I did not need to be near a Wah Lum Kung Fu school to keep up with my training. All I needed was space equivalent to a hotel room (which is where I’ve spent most of my time the last 7 years) so I could practice my Kung Fu basics (breathing & stretching exercises and the basic stances, punches, and kicks). I came to the realization that no matter where in the world I was traveling to, no matter the time of day, no matter how much open space I had, no matter how busy I thought I was, I could still always practice Kung Fu. 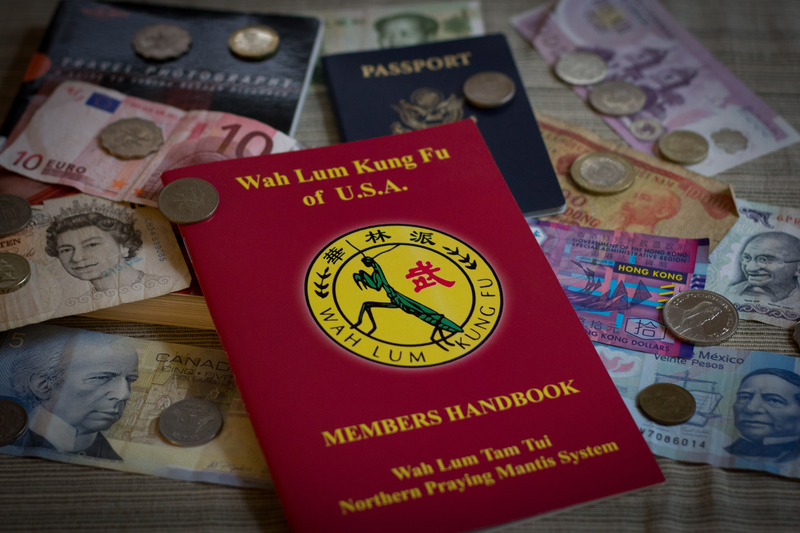 I keep my Wah Lum Handbook in my bag and it goes with me wherever I go in the world. In doing so, I keep with me not only Grandmaster Chan’s Kung Fu training, but also his philosophical teachings of hard work, perseverance, and humility. The Handbook is a constant reminder for me that Wah Lum’s teachings are always with me no matter where I go, no matter what I do in life. It’s been a while since my last blog. I am sure you have all been in excruciating pain from the deprivation of a Pui Chan: Kung Fu Pioneer update… Right? Here’s a new logo! I usually write about our upcoming screenings and festival results, but today I am just going to share a few thoughts. I have been working like crazy on distribution, festivals, screenings, and promotion of the film. Since CNY it has been a whirlwind of kung fu: Shows, rehearsals, tournament prep for the students, etc. It is difficult to stop and be still. It is challenging for me to stop and enjoy what is happening now. My goal from the beginning was to share my father’s story with the world. Have I shared it with the WORLD? Not yet, but what is important is who has shared the experience thus far. The reactions from friends, family, students, martial artists, film buffs, and kids have been very inspirational to me. I wanted to inspire others with the film, but I realize that I am inspired too. How many martial arts documentaries emote laughter, excitement, awe, and tears in 86 minutes? After each screening, it energizes me to keep going. Rejection from festivals are tough, no doubt. Any indie filmmaker cannot deny this. If I just stop and take a moment to appreciate the impact the film has had on those who have watched it, I should be truly content. (but of course, I am not) 😉 …But I’m trying. 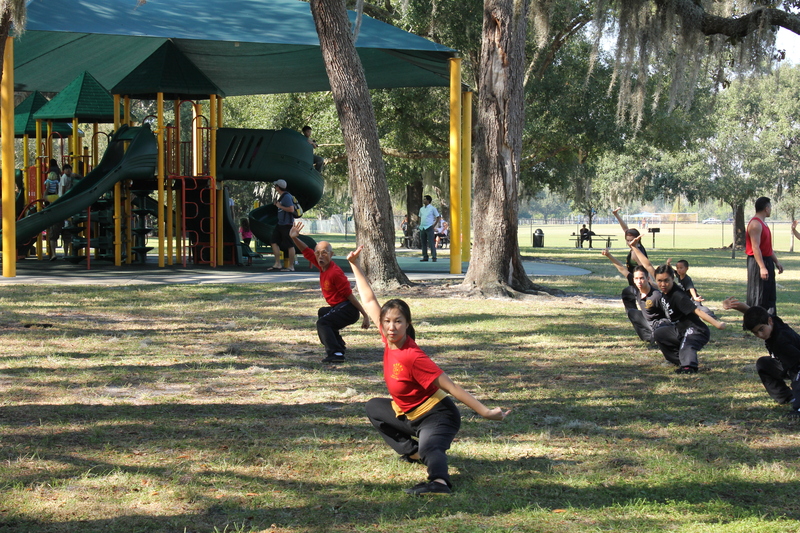 Pui Chan: Kung Fu Pioneer screens in St. Petersburg and Chicago this Spring… see http://www.puichan.com for details!